Almost everyone I know is on Instagram. 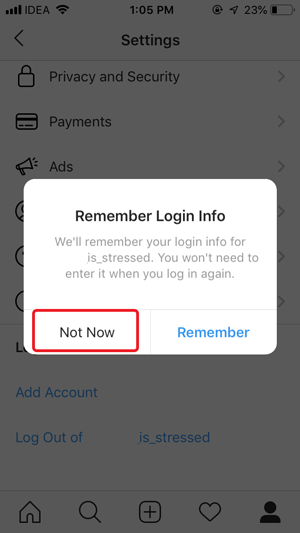 And the other day, a friend of mine logged into his Instagram account from my iPhone and was unable to log out, he claimed to accidentally tap ‘remember Login Info’. Now, removing accounts on Android is a one-tap process but to my surprise, I couldn’t find such an option on iOS. After a bit of fiddling around, it turns out, this option is buried deep under the settings. So, if you find yourself in the same situation as I did, here is how to fix it. Instagram automatically save your password for easy login unless you select otherwise. This is true for both the Android and iOS version of the app. 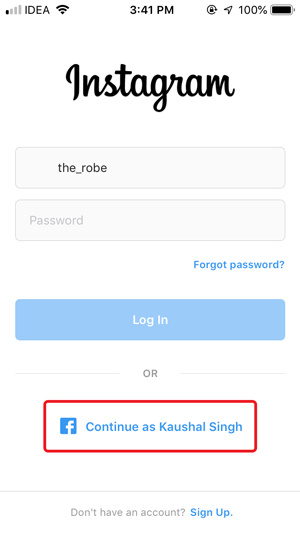 However, In case of Instagram Android app, removing your saved login info is simple and the option is right there on the login page. 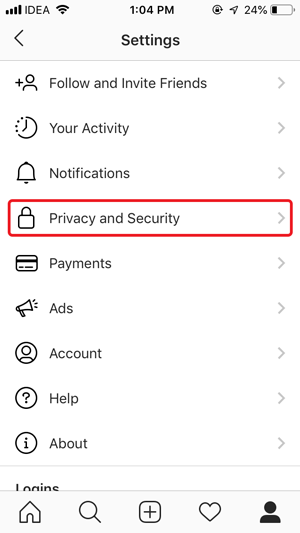 Instagram iOS app also saves your logins but unlike the Android, you can’t simply delete saved login information from the login page, the option is buried deep in settings. 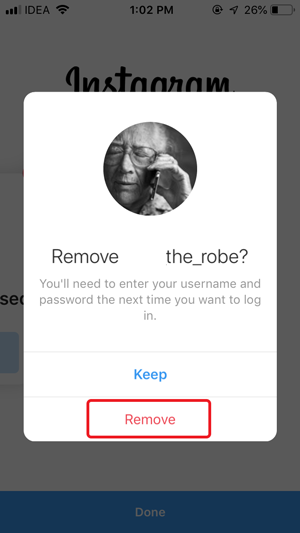 There are two scenarios where you would want to remove saved login information in the Instagram app. 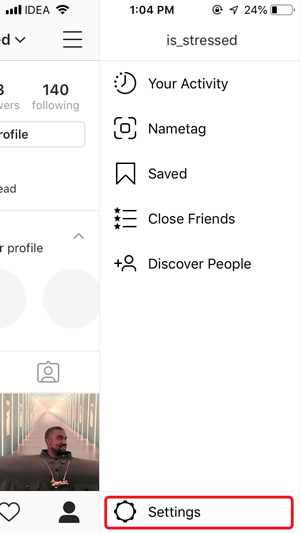 If you have multiple accounts logged in the Instagram app and you’ve saved the login information for all the accounts, removing the accounts is easy. Simply go to the login Page by logging out of your account. You’ll see multiple accounts on the login page. Tap the option that says “Edit Accounts”. Tap the red (-) button on the top right corner of the account to remove the account from the app. You can remove all the accounts easily with this method. 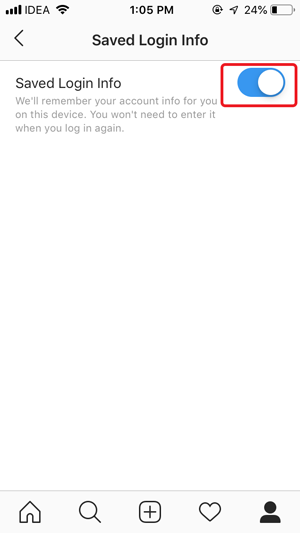 This above method fails if you’ve saved login information of one account in the Instagram app. The app doesn’t show you any option to edit or remove accounts on the login page. 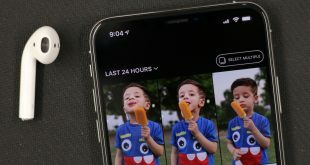 Even If you remove the Instagram app from your phone and reinstall it, the account still stays there. To remove your account from Instagram, Log in to the Instagram account in the app. 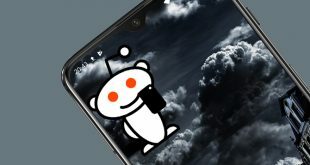 Go to the Profile Page by tapping the button in the bottom right corner of the app. Tap the Hamburger button on the top right and select ‘Settings‘. Scroll down the list of options and select Privacy and Security Settings. Scroll down to Security tab and tap ‘Saved Login Info‘. The toggle Switch disables the automatic password saving feature and lets you remove the saved login info. 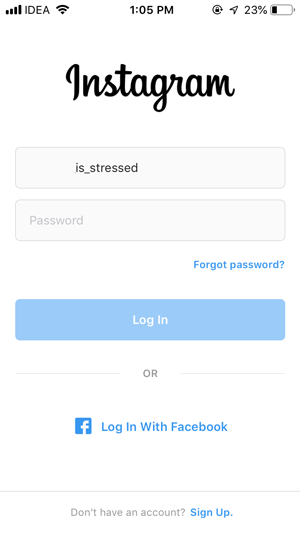 During my testing, it did allow me to remove the saved login info successfully from the Instagram app. Now go back to Settings and log out of your account and remember to tap ‘Not Now’ so that the app doesn’t save your login info again. 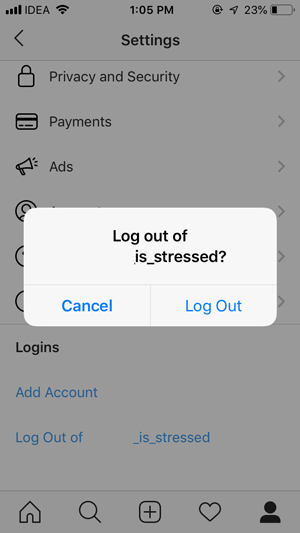 Now your account has been successfully removed saved login info from the Instagram iOS app. It won’t log you back again but ask you the account password first. I used the above two methods but still, I was able to log in without entering the password because I had Facebook app installed and my Instagram is linked with my Facebook account. You can remove the Facebook app from your iPhone to remove all traces of seamless login. Now no one can snoop in on your Instagram account. 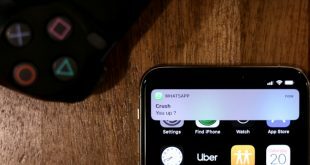 This was a quick way to remove Saved Login Info on Instagram iOS app. The lack of remove button is probably because of iOS’s design limitations and they had to go that way. 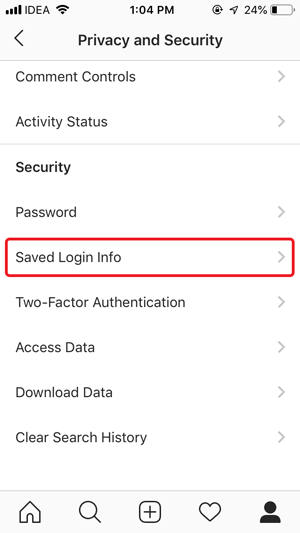 Now you can remove Saved Login Info on Instagram iOS app without a hassle. Tell us in the comments if you faced any problem with this method.